The PROLiNK® PCWM-7003 is a Wireless Multimedia Desktop Combo with a full size keyboard and high performance optical mouse. The keyboard is designed with comfortable silent keypad allowing effortless typing without noise disturbance to the surroundings. 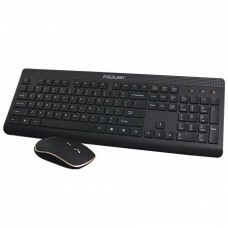 It also comes with a wire range of multimedia shortcut keys for easy access and control of your computer.